Ma Daode is feeling pleased with himself. He has just been appointed Director of the China Dream Bureau, tasked with overwriting people's private dreams with President Xi's great China Dream of national rejuvenation. He has an impressive office, three properties and a bevy of mistresses texting him night and day. But just as Ma Daode is putting the finishing touches to his plan for a mass golden wedding anniversary celebration, things take an uneasy turn. Suddenly plagued by flashbacks of the Cultural Revolution, Ma Daode's nightmares from the past threaten to undo his dream of a glorious future. 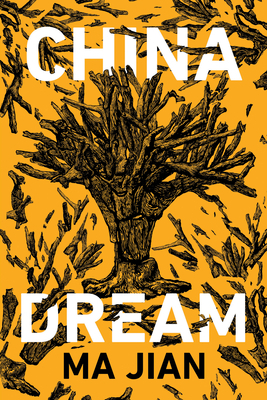 In China Dream, Ma Jian takes the reader on a tragicomic ride through the horrors and absurdities of totalitarian power. His dystopian vision is set not in the future, but in China today. Written to commemorate the fiftieth anniversary of the Cultural Revolution, China Dream is revealing of China's moral crises, and what happens to a nation blinded by materialism and governed by violence and lies. In a moment when the characterization of reality is vulnerable to the whims of power, it also poses wider questions that are blisteringly resonant about the way we perceive, understand, and manipulate our histories, as individuals and as a society. MA JIAN was born in Qingdao, China, in 1953. He is the author of Stick Out Your Tongue, four collections of short stories and essays, and six further novels. His work has been translated into more than twenty languages. He now lives in exile in London. Since the banning of his first book thirty years ago, none of his works have been allowed to appear in China. FLORA DREW's translations from the Chinese include Ma Jian's Red Dust, The Noodle Maker, Stick Out Your Tongue, Beijing Coma and The Dark Road.